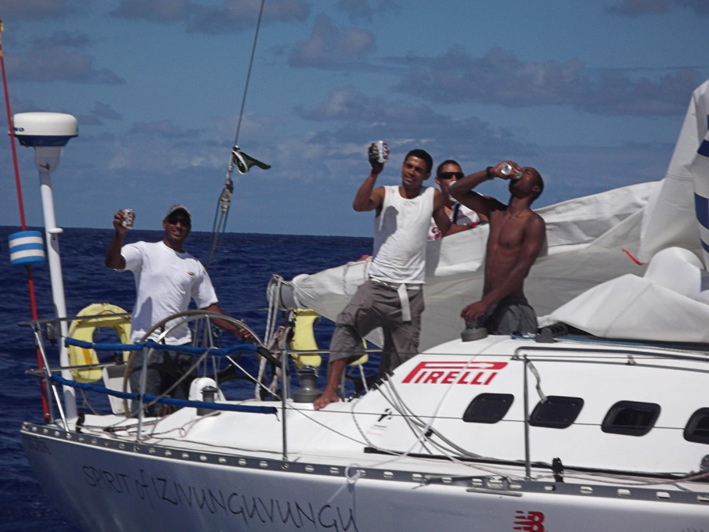 A group of young sailors from the Cape Flats are in the dark over whether or not they are to be disqualified from the prestigious Cape to Rio Yacht Race after they accepted fresh water from another competing yacht this week. 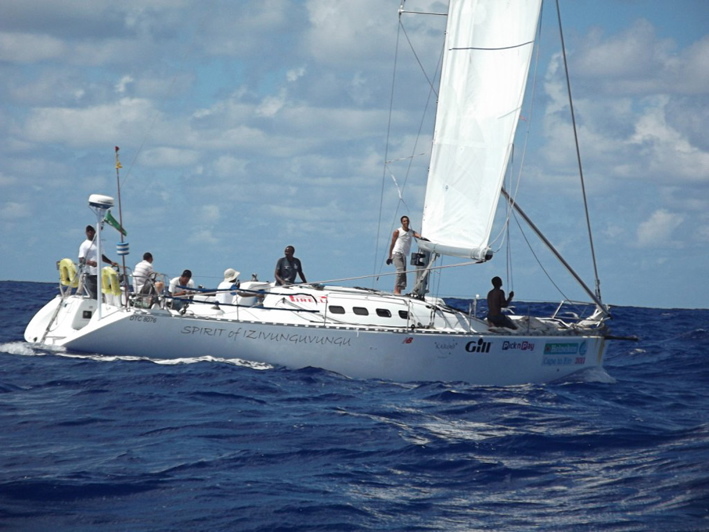 The yacht Spirit of Izivunguvugu, which was in contention for a finish in the top six on handicap, is crewed by seven young men from disadvantaged backgrounds. But they had to call for help on Wednesday afternoon after their watermaker had become unserviceable and they were down to 30 litres of fresh water for the remaining approximately nine days of the Atlantic crossing. After the was sent out by skipper Kader Williams, Race Director John Martin asked the competing yacht Xtra-Link yacht to divert and assist. Cans of isotonic drink and 140 litres of water were transferred to the near-dehydrated sailors and Xtra-Link was to be granted a six hour time consideration for their sportsmanship. But the race rules dictate that any yacht which receives help on the crossing would face disqualification, and a press release was sent out by the City of Cape Town, who is sponsoring Spirit of Izivunguvungu and another yacht named after they city crewed by a Brazilian development team, saying that the Cape Town development sailors were out of the race. However, news from the race headquartors in Rio de Janeiro on Thursday afternoon was that Spirit of Izivunguvungu could still be in the race. “The yacht Spirit Izivunguvungu has in this point in time not officially been disqualified from the Race,” was the official word from the HQ. Meanwhile, the crew onboard the yacht apparently have no idea of the controversy. Race organisers and the yacht’s management team said they did not want to destroy their morale. News that disqualification was even a consideration woudl result in the crew “losing focus and hope in the race,” said team manager Manuel Mendes. Mendes said in any case race organisers would only take a final decision once the race was completed. It was for this reason that City Press were not allowed to get in touch with the crew via satellite phone. Spirit of Izivunguvungu is not the only one of the 17 yachts to experience trouble with their watermaker, said spokesperson at the Race HQ Jeanne van Rooyen. At the moment the yacht City of Cape Town leads the race on handicap, followed by Ciao Bella and Perie Banou II. Leading the race for line honours is Prodigy.